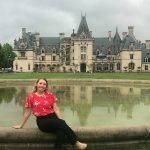 Last summer I was an intern at the Biltmore Estate in Asheville, N.C. — thanks to the relationship Sweet Briar has with Biltmore. 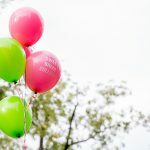 Without Sweet Briar, I would have never had this opportunity nor learned these valuable life lessons! 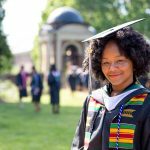 Before you settle on the college of your dreams, you’ll want to make sure everything is right for you — the academics, the campus and the community. You’ll want a place that feels like home. Growing up, I was always asked the same question: “What do you want to be when you grow up?” After much thought, I made my big decision. I wanted to be a neuroscientist. 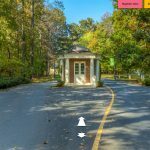 Sweet Briar is such a beautiful place to call home. 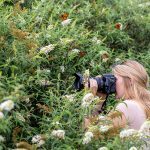 And with over 3,250 acres to explore, the opportunities for great photos are plentiful. Even as a sophomore, I’m still finding new and exciting places I didn’t even know existed on campus. Back in high school, I was very timid. I lacked confidence in myself and in my ability to take charge. But that all changed when I began attending a women’s college. 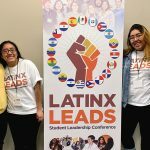 LATINX LEADS held its first Student Leadership Conference in Jersey City, N.J., in February. The goal: to become the largest national gathering of Latinx student leaders and campus-based advisors to address the most critical topics of diversity and social justice challenging the Latinx community in colleges and universities. Confidence, courage, grit and consequence. 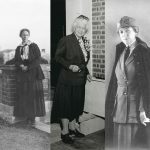 Since 1901, Sweet Briar women have shown a fierce commitment to each of these qualities — and what better time to celebrate our most accomplished leaders than Women’s History Month? 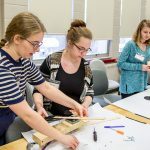 National Engineers Week at Sweet Briar kicked off on Feb. 19, when former student Sarah Cahoone ’18 came to give a presentation about the work she is doing at her job at NAVAIR. 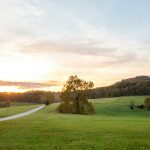 When I came to Sweet Briar in October 2017, I remember turning off of U.S. 29, driving up the front drive and knowing that I had come home. 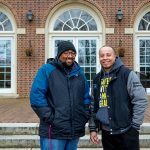 When we were given the assignment to plan events for Black History Month at Sweet Briar College, the one thing that made the task easier was the fact that I had Jeffrey Owen right here with me. 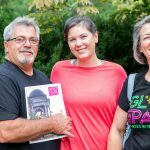 The secret to an unforgettable college experience? Get involved, say our admissions ambassadors. 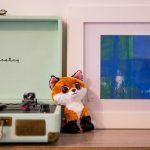 To do that, you might have to leave the cozy comforts of your snuggly room and jump right into the action. 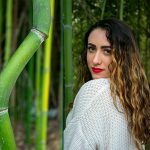 I’m a double major in studio art and archaeology, and I’m also pursuing a B.F.A., so I find myself busy a lot of the time. 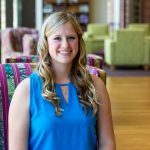 I work two jobs on campus: I am an admissions ambassador, and I am also a technical assistant in the theater. There’s nothing quite like going home for the holidays — especially when it’s your first year of college. And no matter how you get there, what happens next is going to be magical and wonderful and unforgettable. Yes, ‘tis the season: of too much coffee, countless candy bars and endless all-nighters in the library — or wherever it is you’re camping out. 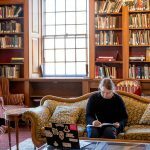 To figure out students’ top five study spaces at Sweet Briar, we posed the question on Instagram. My favorite part of reading applications is getting to know prospective students better. 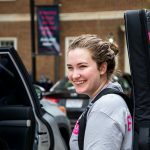 I like to learn more about their interests, what draws them to those interests and what draws them to Sweet Briar! My name is Julie Horton. 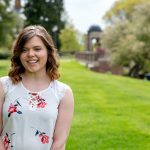 I’m a junior majoring in history, minoring in religion and on the teaching track. I’m in the Honors Program and on the SGA. Oh, I almost forgot to mention: I’m a wife, mother of three incredible children and 49 years old. College life is exciting, and it’s a lot of fun. But, who am I kidding, it’s also a lot of work! If you’re not a robot, chances are you’re going to get a little stressed out. Here’s my seven-step guide to managing stress in college. 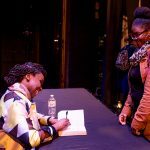 A vibrant, passionate brown girl sits in her ninth-grade honors English class, and she is enraged. The class has been reading Nigerian writer Chinua Achebe’s novel “Things Fall Apart,” and she is trying her best not to. 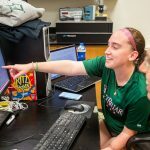 If you take nothing else away from this article, at least take away one piece of advice: Do summer research! 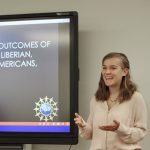 I spent eight weeks at Texas A&M University this summer doing research for sociology, and it was a life-changing experience. Choosing a college is hard, especially when you have no idea where to start looking — or what questions to ask when you get there. 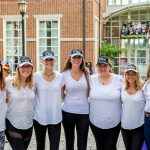 “Behind every Sweet Briar woman is a team who believes in her.” This message of intense student support drew me in when I applied for my position at Sweet Briar. 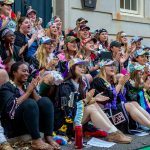 As is the case with so many things at Sweet Briar, our Student Government Association exists because students created it. It’s October, and we all know what that means: It’s FAFSA time! As of Oct. 1, the Free Application for Federal Student Aid is now open, and you should take advantage of it — even if you think you might not qualify for financial aid. 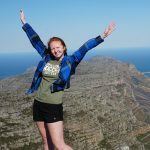 During the summer, I had the opportunity to travel to Cape Town, South Africa, for three weeks, through a program called Student-Athletes Abroad. What I love about Founders’ Day is the ceremonial aspect of dressing in white, walking up the hill and paying our respects. 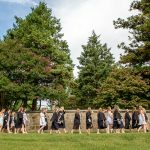 It is simply beautiful to see the greenery of the campus and all of the alumnae and students who care about this small women’s college. 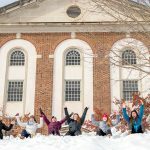 I am a junior at Sweet Briar, and one thing that I have found throughout my time here is that I fall more and more in love with campus each semester. Change. Love it or hate it, it’s going to happen. It never seems to be on my terms, so I’m going to do the only thing I know how to do: keep driving and don’t look back. 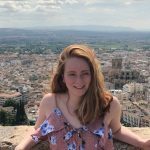 This past summer I spent two months studying abroad at The University of Granada in Spain — a place where I could not speak the language confidently, and where I would know nothing and no one upon arrival. While I was very nervous, I was also extremely excited about this opportunity! Here it is: your first semester of college. Maybe you’re there now or maybe you’re already thinking about what it will be like next year. We’ve gathered our experts to help you crush those first few weeks and months. 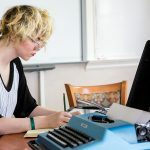 Ten years ago, I arrived on campus as a first-year. I was extremely excited and anxious all at the same time — I am originally from Maine and an only child, so the idea of being 13 hours away from home was a lot to process. 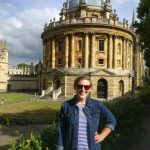 This past summer I spent six weeks studying abroad at the University of Oxford in England through the Virginia Program at Oxford. I’ve traveled to other countries before, but never by myself. This program was a wonderful way for me to grow and learn outside of my comfort zone. 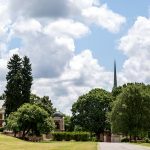 Last semester, international student Nathalia Lima from Brazil spent a few days visiting Sweet Briar to see what makes the small women’s college in Central Virginia so special. 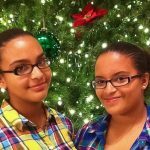 Just starting to shop for colleges, or still haven’t found the perfect match? 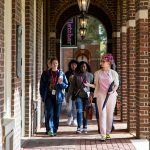 You’re in luck: Virginia Private College Week offers the ultimate campus visit marathon. 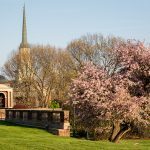 Thinking about transferring to Sweet Briar? Or perhaps you’ve been accepted but aren’t sure what else we might need from you? 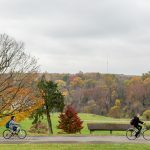 Here’s a list of things to know and do now — so you can be ready to hit the ground running when classes start in August. Few moments in your life will be as emotional as your college graduation. The culmination of four years of hard work and personal growth, it’s also a new beginning full of excitement and uncertainty. 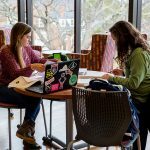 It’s that time of year: Finals are here, and across the country, high school and college students are cramming for exams. If you’re one of them, you’re likely in a bit of a frenzy right now. 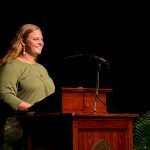 It didn’t take Megan DeRidder long to feel at home at Sweet Briar. 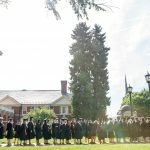 The liberal arts and sciences college in the foothills of Virginia’s Blue Ridge Mountains was perfect for the Wilton, N.Y native. 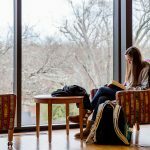 One key to success in college is developing study habits that will make you successful — without making you a workaholic. In other words, you’ll have to figure out how to study most effectively. 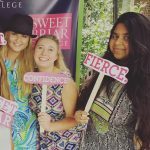 First of all, know that I am incredibly jealous that you are just starting your journey at Sweet Briar. I do not regret my choices, but instead wish I could go back and do it all over again. There’s only one way to gain experience in something, and that’s to actually, physically do it. Yes, we’re talking about internships. 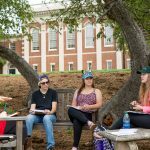 At Sweet Briar, 80 percent of students intern at least once during their time here. 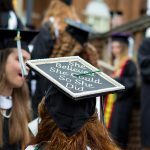 Sweet Briar alumnae are pretty amazing: They’re explorers, innovators and leaders. 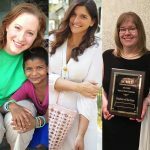 They’re collaborators, community builders and change-makers. 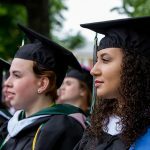 Here are some recent Sweet Briar women leaders you should know. 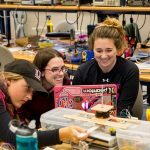 If you’re a Sweet Briar engineering major, chances are you’ll land that first job long before graduation. Not a math whiz? Don’t despair. 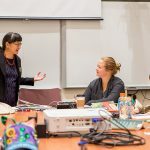 Sweet Briar students across all disciplines have a strong track record of getting into coveted graduate programs or securing a full-time job before they graduate. Your junior year of high school is an important time in your college search. 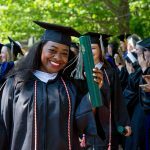 Here are five tips from the admissions staff at Sweet Briar College to help you get organized and prepare for the adventure that lies ahead. 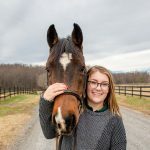 Whether you choose to ride or not, horses are quintessential to the Sweet Briar experience. 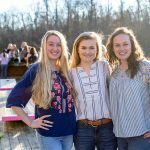 The friendly animals and serene setting make the barn nearly impossible to resist, which explains why nearly 30 percent of students are involved with the riding center. When I was in high school, I was a girl who was good at math. I soared through AP calculus, I scored higher on the math section than the verbal section of the SAT, and I was even on the math team (although not the only female, proudly). 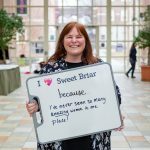 One of my favorite things about being an admissions counselor is getting to travel to new places and talk about Sweet Briar. 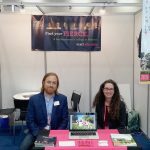 I was ecstatic when I was given the opportunity to travel to South Korea to attend the American International Education Foundation Spring 2018 Education Fair. 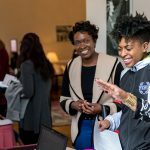 Having found a home at Sweet Briar, sophomore DaZané Cole and first-year Ajhani Oxendine have a million answers to the question we often hear at college fairs. 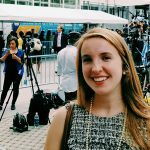 In September, I attended a United Nations panel discussion on youth innovation. It was an experience I will never forget. 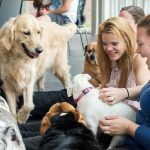 When looking for a college, I wanted a place that felt like home. I wanted a place where I would not get lost in a sea of students, and where my professors would notice if I skipped class. There are many perks to attending a small liberal arts college. Here’s a big one: endless resources. I have never felt like I couldn’t ask for help when I had a question, or an assignment I just couldn’t seem to wrap my head around. We love reading applications. They are a rare window into understanding who you are. 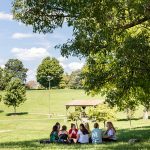 For many of our students, Sweet Briar was love at first sight — and not just because of our stunning campus. 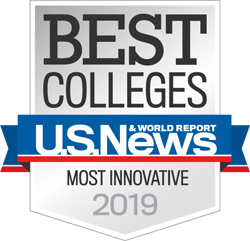 They immediately knew that our tight-knit community, small classes and dedicated professors would be just the right fit. Imagine a place where every student leadership position is filled by a woman. 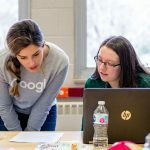 A place where women are encouraged to work hard — in the classroom, in the library and laboratory, on the playing field, in the board room, and every place in between. 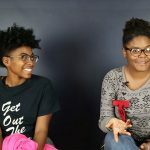 I toured about 25 colleges before my senior year even started, and then applied to 16 schools. 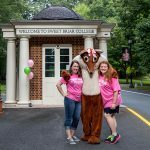 Sweet Briar blew all the others out of the water. Here are five of the categories I used to assess each school. Wanting to leave home and travel 8,000 miles for college cannot be a spontaneous decision. There was a lot that went into it for me. Would I get to study what I want? 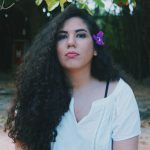 Would I be able to make friends? Your senior year of high school might feel a little frantic. 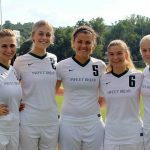 But there are things you can do now to set yourself up for success — and peace of mind — before you get to college. Applying to college can be stressful, and there are so many things to think about. And then, there’s the stuff you shouldn’t sweat — like what everybody else wants you to do. 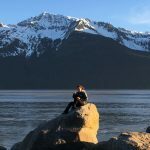 Here’s what I wish I had known when I was a high school senior. When I was a senior in high school, I was obsessed with getting into all the colleges to which I applied (16). As a result, I wrote college essays constantly and stressed myself out more than was ever required. Forty-two applications later I figured there must be at least one company that wants to hire me. 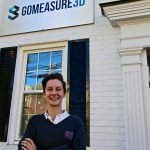 I was looking to work as an engineer in the 3-D printing industry over the summer. 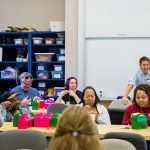 Over the course of my time as an admissions ambassador, I have given many tours, but every tour is always a little different because I base it on the visiting students and their interests. 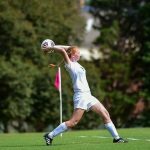 Becoming a Sweet Briar woman is life-changing in and of itself, but becoming a student-athlete here takes that experience to a whole new level. 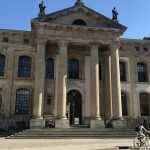 This past summer, I attended the Virginia Program at Oxford (VPO) at St. Anne’s College in the University of Oxford. It was six weeks of Shakespeare, tutorials and traveling. 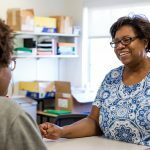 Financial aid comes in many shapes and forms, and it can come from several sources: federal, state, foundations, the community, or the College itself. All of them help you meet your college expenses. 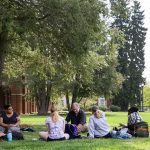 Sweet Briar’s traditions are the heart and soul of the campus. 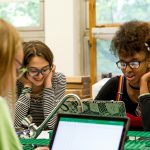 They connect us to the school’s vibrant history and build community. Let’s face it. At most universities, you are a number. You are one person seated among dozens — or even hundreds — of students in every class you take. 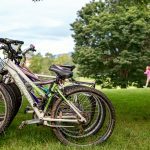 Among the trademarks of a Sweet Briar woman are her wide-ranging interests. This is what a liberal arts college looks like. 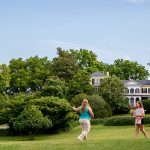 So you’re looking at Sweet Briar and you’re excited to come to campus and visit — or you’re not completely sold and still have some questions. 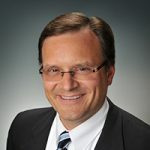 Bill Allen is a numbers cruncher and strategic thinker. 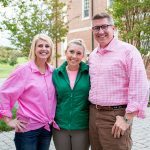 But there’s a lot you may not know about Sweet Briar’s dean of admissions and financial aid.